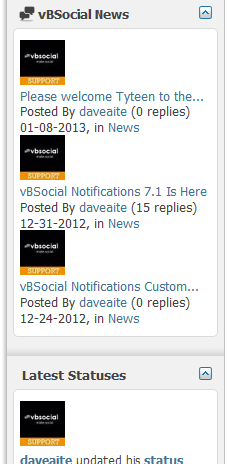 With a bolstered algorithm, the mod brings statuses that are most relevant to your users instead of just all statuses. It provides full flexibility in viewing all types of statuses around your site including friends, related statuses, group statuses, all statuses, and statuses of people your following. 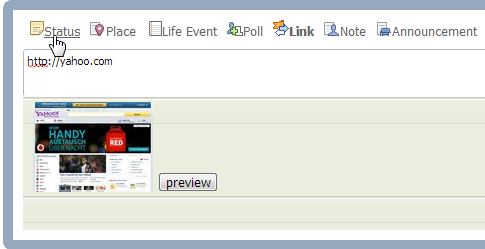 In addition, users can filter through statuses by types of statuses, popularity and time of when it was posted. Preview the website of a link both on the wall and before posting it. Real Time updates will improve user-activity on your website. Administrators can customize how fast the sync occurs. 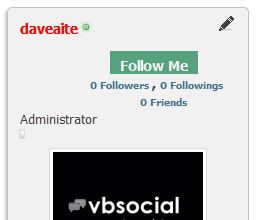 Twitter functionality comes to vBulletin. You can follow other users statuses without being their friends. Those statuses will appear in “Following Statuses” within your user profile. Generate activity and input using polls on the wall! Post a Youtube link as a status, and watch Gangnam Style and other youtube videos auto-embed into walls for people to comment, like, dislike and more. 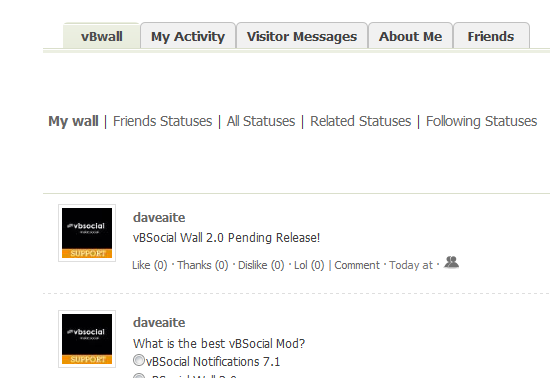 Specific Activity of each user is integrated with wall statuses to generate more forum activity awareness of what is going on around the site. Follow user threads, replies, blog posts, and more through the wall system. 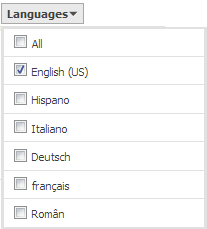 The wall accepts all languages and allows users to view statuses per a certain language. 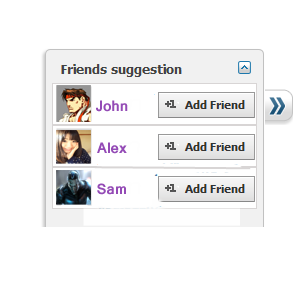 One-click friend request suggestion bar to promote adding friends and increase your social network. View statuses by friends, following, related, or all! 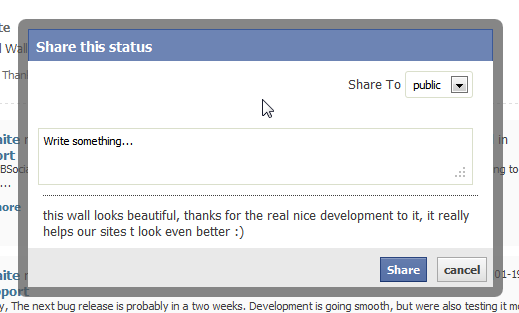 A huge part of wall allows you share other peoples statuses onto your wall for a viral status effect. We’ve given the option to use the sidebar in your profile walls and group pages which allows you to completely customize how your wall looks like. The sidebar uses the same manager provided in vBulletin which allows you to rearrange your blocks, add advertisements, and monetize off of every wall page. Packed with all the bells and whistles, this Fake Stats plugin is the best. Keep all your header and footer scripts like Google Analytics in one place. Combine all social feeds and RSS feeds into one widget.